20 young artists shared their artwork with friends and family at our Young at Art Opening Reception on Monday, October 16, 2017 at Main Street Framing. Public and private school art teachers may nominate a total of TWO pieces of artwork from each level they teach (elementary K-5, middle school 6-8 and high school 9-12), one each from two individual students. Thank you to the art teachers who inspire them and the families that support them. The Art Guild is proud to encourage your creativity. 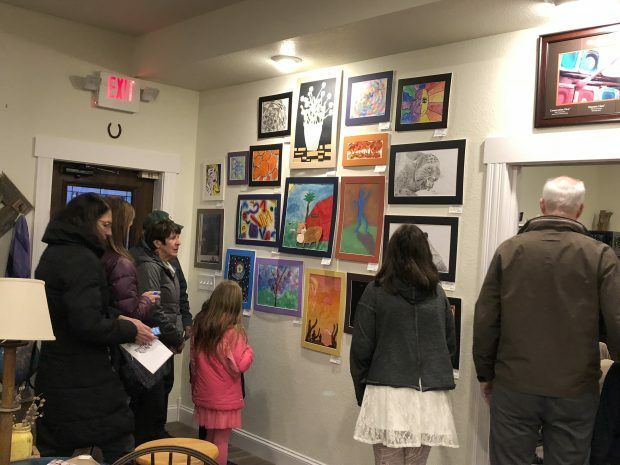 The Art Guild of Menomonee Falls’ “Young at Art” youth exhibit has been a goal of this organization since its inception: to formally recognize young art talent within our community. Each featured young Artist was nominated by his/her Art teacher: merit-based on their passion, efforts and performance in the visual Arts. It is believed that these youth are emerging as aspiring artists, and it is AGMF’s desire to nurture and support their future dreams in the world of art.